One of the best things about patents is that they expire, which is why BioPAL is able to bring you BioMagic™, silane-coated magnetite particles made by the "Inventor" and made the right way at the right price! BioMagic™ is a line of magnetic particles and are suitable for use in immunoassay, RNA separation, and cell sorting applications. Given our colloidal manufacturing experience and our low overhead, BioPAL is able to provide its magnetic particle product-line at a substantial discount compared to competitive products. Made the right way, at a low price! BioMagic™ is provided in several standard formulations, such as amino-terminated, biotin, streptavidin, goat anti-rabbit IgG, etc. Detailed information is provided on our price list below. Amine-terminated BioMagic™ consists of a suspension of magnetic iron oxide particles (1.5 µm) coated to provide primary amine groups. The amine groups allow for the covalent attachment of proteins or ligands with retention of biological activity. The stoichiometry of the amine functional group is about 240 µmol/g. BioMagic™ immobilization kit consists of a suspension of amine-terminated, magnetic iron oxide particles, 25% solution of high purity glutaraldehyde, and instructions. To minimize the cost, reusable items, such as a reaction flask or a magnetic field separator, are not included in the kit. 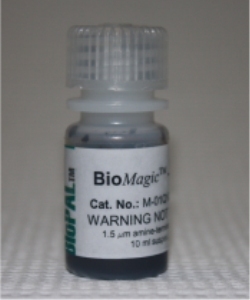 BioPAL offers a line of BioMagic™ magnetic iron oxide particles for binding proteins and are approximately 1.5 µm in size. These products are ideally suited for use in radioimmunoassays, enzyme immunoassays and cell sorting. 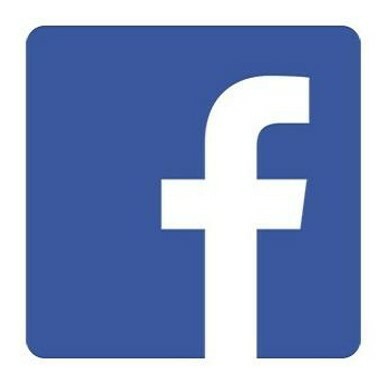 BioPAL offers a line of secondary antibody BioMagic™ magnetic iron oxide particles that are approximately 1.5 µm in size. These products are ideally suited for use as a second antibody in radioimmunoassays, enzyme immunoassays and cell sorting, which utilize an IgG primary monoclonal antibody.